The Sebel East Perth offers 57 spacious studios and apartments, perfect for short and long-term accommodation in Perth. 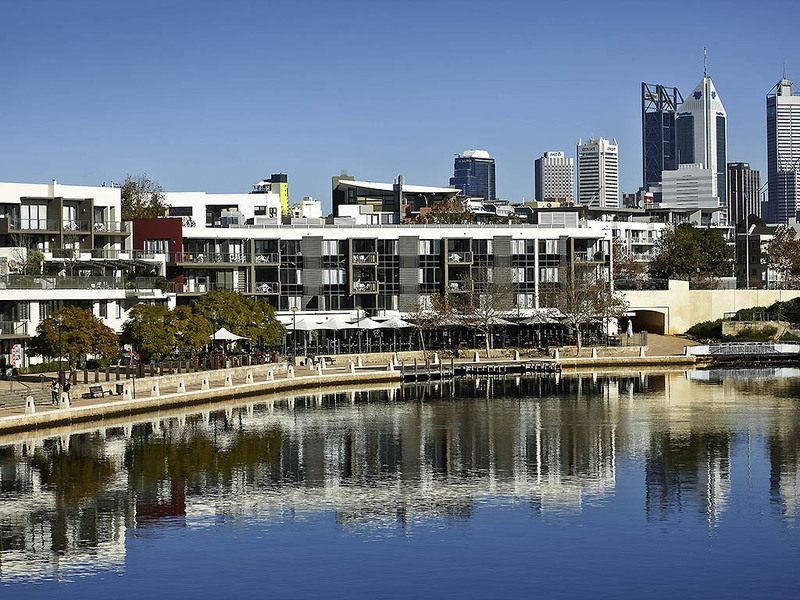 With a stunning waterfront location on Claisebrook Cove and the Swan River, the apartment complex is 5 min from Perth's Central Busines s District CBD and popular tourist attractions. Cafes, restaurants and bars are right below the complex. A convenience store is close by to meet your daily needs while you stay here. Charge back all bills to your apt. Free WiFi available. With its pristine beaches and stylish restaurants and bars, Perth is a city with plenty to explore! Guests staying at The Sebel East Perth are within easy reach of many of Perth's best restaurants, shops and attractions, including the WACA and Kings Park. Priding itself on its exceptional service and impeccable facilities, The Sebel East Perth features an outdoor swimming pool, a fitness centre, paid on-site parking, a self-service business centre & elegant event space perfect for small meetings & events. Elegant yet contemporary, The Sebel East Perth offers a range of accommodation styles to visitors looking for hotels in Perth. This stylish Perth hotel features studio guest rooms and one bedroom apartments, with city view, river view and superior options available. Each studio and apartment features modern, comfortable furnishings and a range of convenient amenities, including a kitchen or kitchenette with microwave, a work space, a TV with pay-per-view channels, WIFI access, a minibar and an iron. 2 Bedroom deluxe apartment, River view, one balcony. Equipped kitchen, laundry/washer dryer.